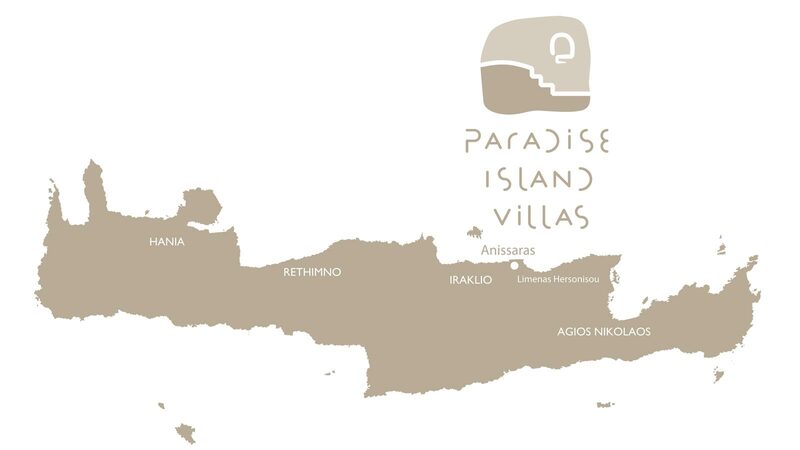 We are located on the north east coast of Crete, on a small hill of Anissaras, just 850m. (10mins walk) from the nearest beach, where you will find a long coast of almost 5km of beach. On your way to the beach you will find a small variety shops and a few options of local taverns on the beach. There are many activities that you can do in our area, at a walking distance, by taxi, bus, hire car or even a private driver. You can easily sightseeing, as distances are short. Our concierge will organise everything for you. We can organise a route for you based on your preferences. There are many options going out in our area. For all the below options, you can either choose to walk or take a short ride (5mins) by taxi, or bus, which is very easy. Our concierge is always here to give you the best tips on eating out, shopping, etc always depending on your preferences and tastes! 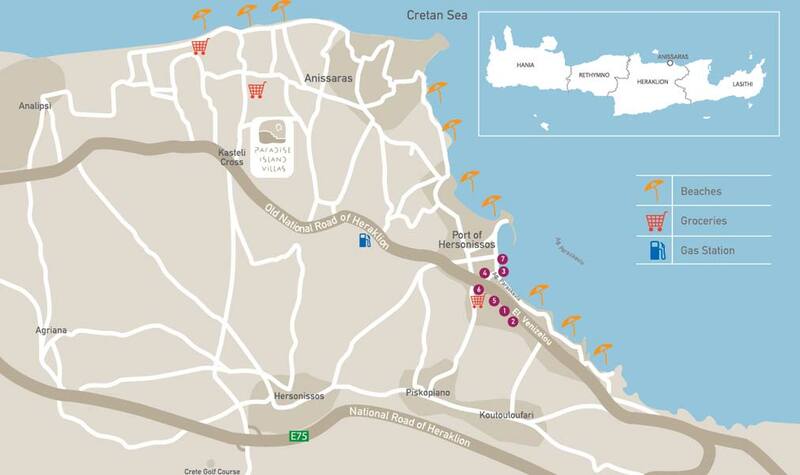 You can try the port of Hersonissos at a distance of 1,8km, or 5min drive by taxi (?8 per drive), offering a vast variety of restaurants of all kinds (international, greek, mezes, ethnic etc), shops, Bars & clubs of all tastes! 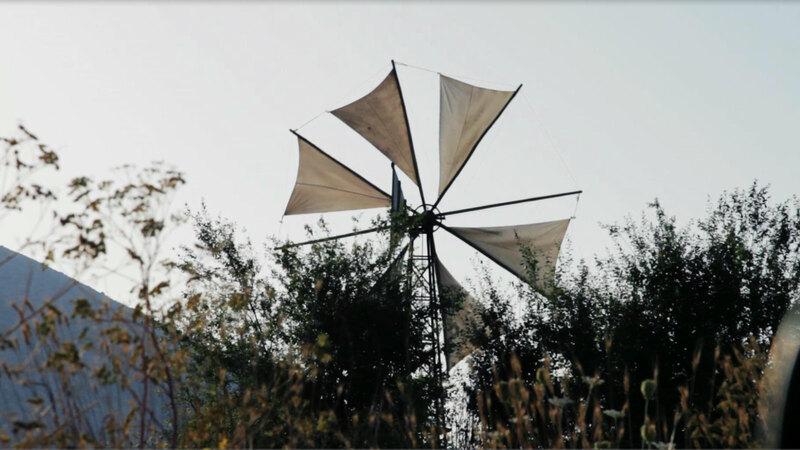 We would also suggest you visiting the three traditional villages of Old Hersonissos, Piskopiano & Koutouloufari, just 2-3km, southwards, offering a more traditional atmosphere and very good choices of food, just 2km away. So, no need to drive yourselves to the villages. Access is very easy.